Open 'settings' from the top toolbar. 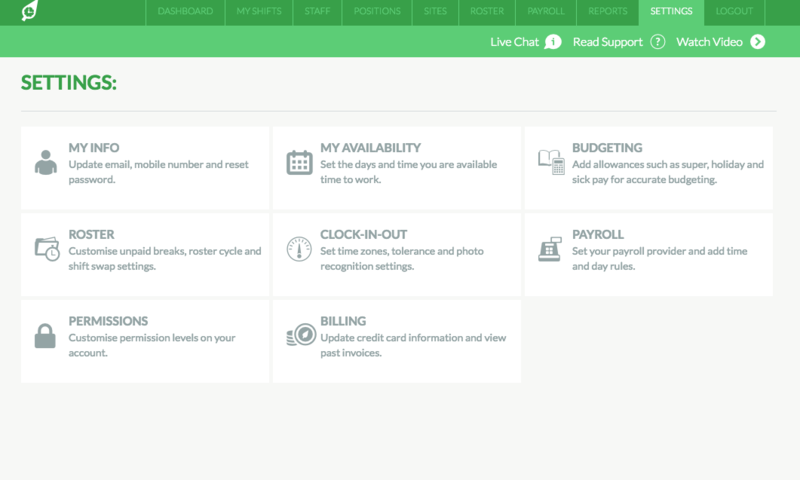 Then select 'Billing'. 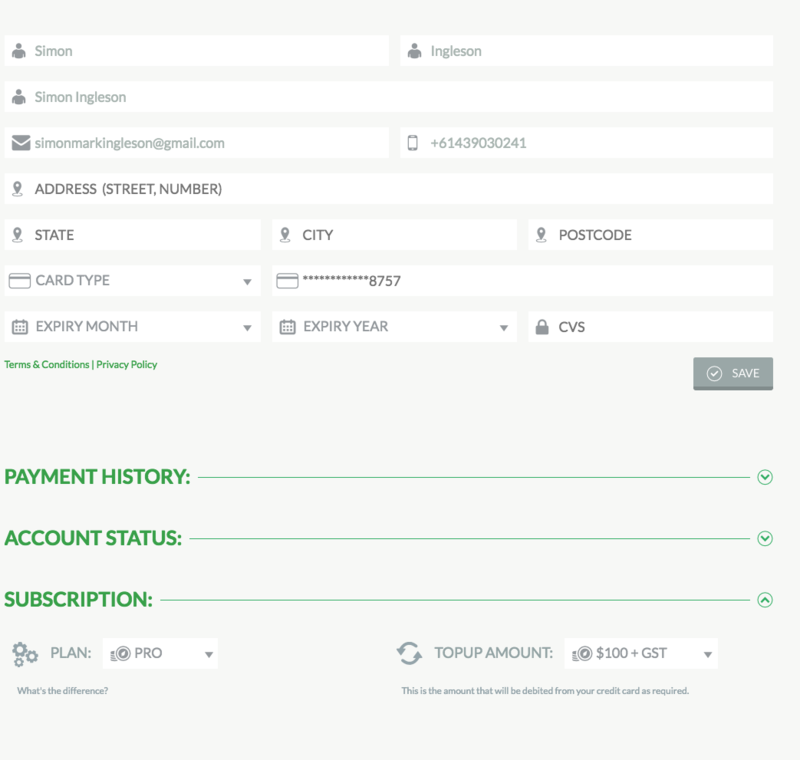 Here you can update payment details, check payment history, view account status, and check subscription info.